Shop online for 138 campbell model trains at discounts up to 16%. Buildings is the most popular of the 6 campbell model trains categories, then Bridge-Trestle-Girder, and Scratch Supplies. 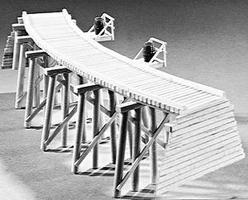 This is the 70' Curved Trestle HO Scale Model Railroad Trestle Kit by Campbell Scale Models. This is the Corrugated Aluminum Sheets HO Scale Model Railroad Building Accessory by Campbell Scale Models. This is the 110' Tall Curved Trestle HO Scale Model Railroad Trestle Kit by Campbell Scale Models. This is the Freight Platforms with Ramps HO Scale Model Railroad Building Kit by Campbell Scale Models. 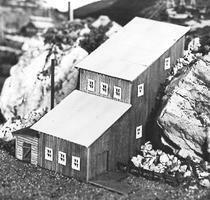 This is the Idaho Springs Mine HO Scale Model Railroad Building Kit by Campbell Scale Models. 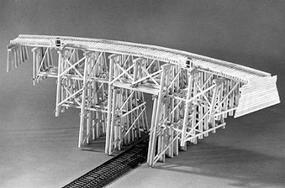 This is the 50' Open Deck Pile Trestle HO Scale Model Railroad Trestle Kit by Campbell Scale Models. This is the Ten Stamp Mill N Scale Model Railroad Building Kit by Campbell Scale Models. 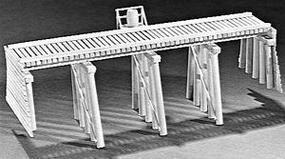 This is the 70' Thru Timber Bridge HO Scale Model Railroad Bridge Kit by Campbell Scale Models. This is the Portable Bunkhouse "A" HO Scale Model Railroad Building Kit by Campbell Scale Models. This is the Howe Truss Bridge HO Scale Model Railroad Bridge Kit by Campbell Scale Models. This is the Red Mountain Mine HO Scale Model Railroad Building Kit by Campbell Scale Models. This is the M E Nelson Livestock Company HO Scale Model Railroad Building Kit by Campbell Scale Models. This is the Gran'ma's House HO Scale Model Railroad Building Kit by Campbell Scale Models. These are the Red Barrels HO Scale Model Railroad Building Accessory by Campbell Scale Models. This is the Saez Sash & Door Machine Shop, Shed & Hopper HO Scale Model Railroad Building Kit by Campbell Scale Models. This is the Wharf HO Scale Model Railroad Building Kit by Campbell Scale Models. 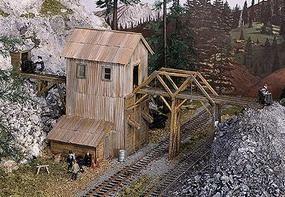 This is the Idaho Springs Mine N Scale Model Railroad Building Kit by Campbell Scale Models. This is the Silver Spur Mine HO Scale Model Railroad Building Kit by Campbell Scale Models. This is the Stockpens with Double Chutes HO Scale Model Railroad Building Kit by Campbell Scale Models.